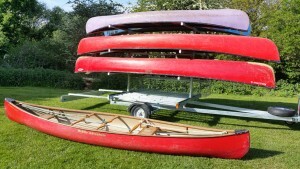 We have been building canoe trailers for over 15 years and some of the photos will show this. 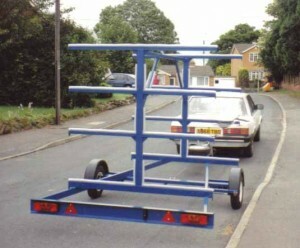 The car in the photo is not around but the trailer is. 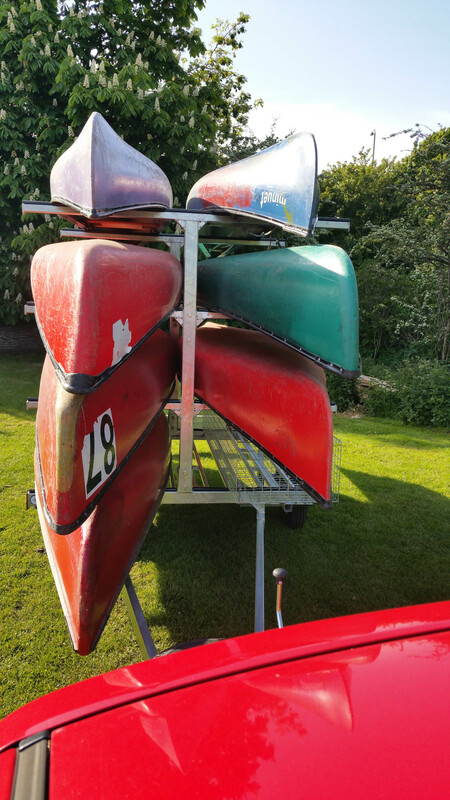 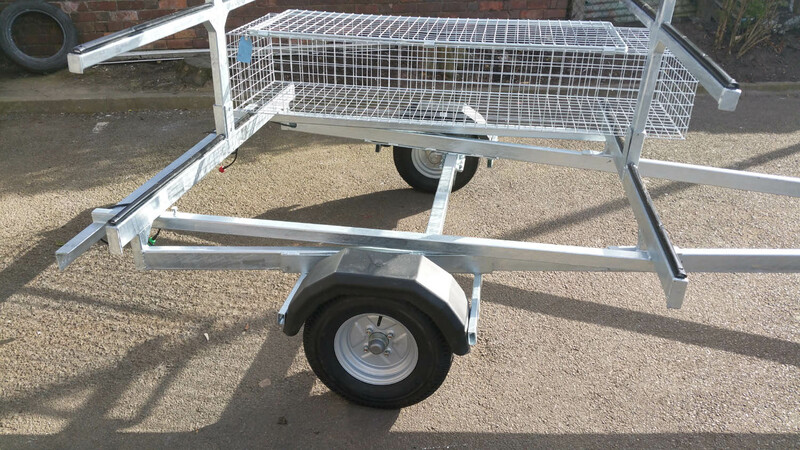 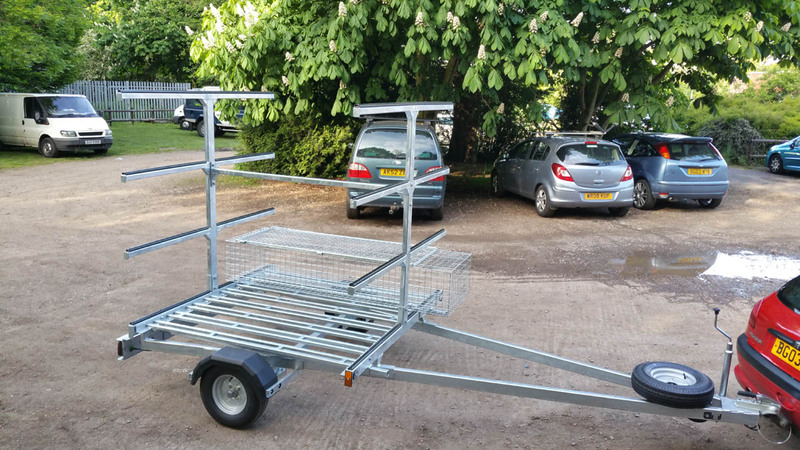 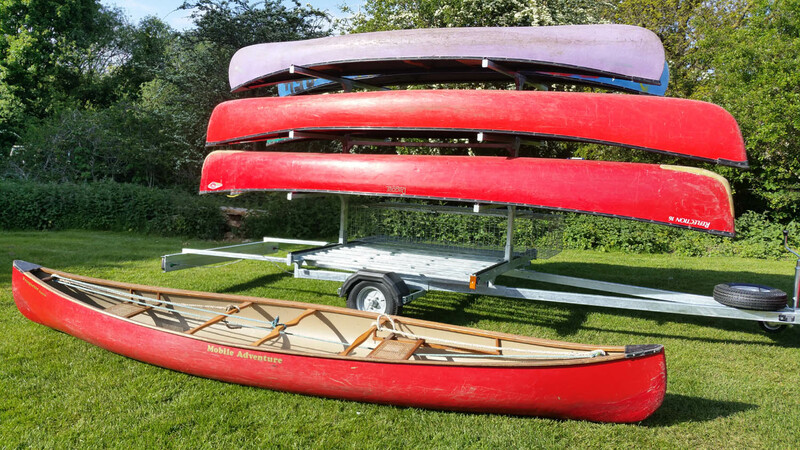 Our range is from the simple box trailer which can carry one or two canoes or kayaks. 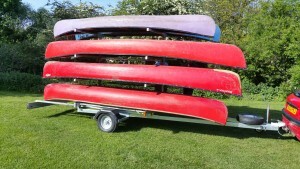 All the way up to an 8 canoe or 16 kayak carrying trailers. 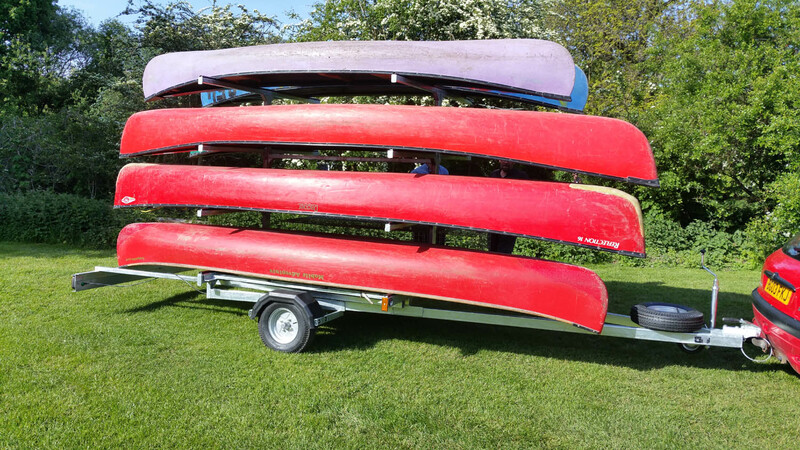 Front view of trailer showing ample room between canoes and plenty of width on the boat trees. Yester year showing the design has not really changed that much. 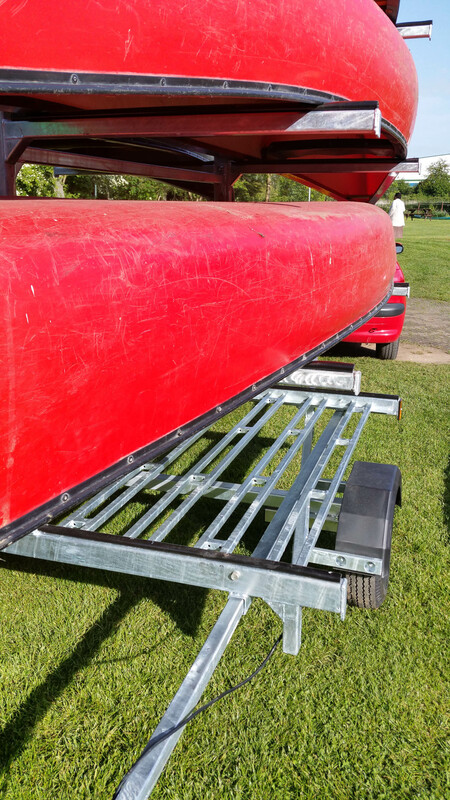 The design does not allow the harmonics of the trailer to cause stress fractures. 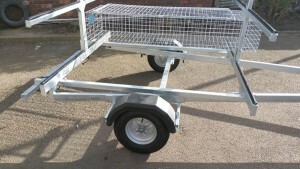 Simple design with great strength. 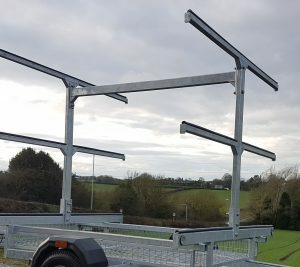 Four stainless steel bolts hold each mudguard. 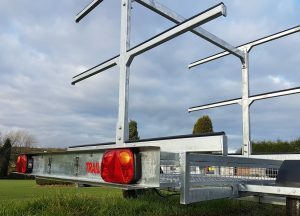 Plus all trees have strengthened impacted resistant tubing. 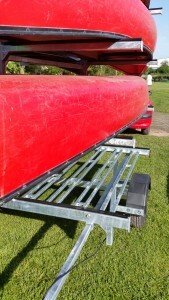 To protect your canoes or kayaks.